ENCINITAS — For the past four years, Encinitas Union School District students have done yoga twice a week, a program that was paid for by a $1 million grant from a local foundation and became the focus of a lawsuit in which the district prevailed. But with the foundation’s recent announcement that it would no longer fund the district’s yoga program, Encinitas school board officials tentatively agreed to use taxpayer dollars — to the tune of $800,000 next year — to keep it going. A number of residents and parents, however, have criticized the district’s handling of the tentative approval, which was done during an April 26 special meeting at 2 p.m. that did not make mention of the yoga program on the agenda, nor was there a staff report that would have detailed the expenses discussed. “I am extremely concerned and I am not alone,” said Anne-Katherine Pingree, a parent who spoke at a board meeting on May 24 along with four other parents and two students, each who addressed the yoga issue. “In order for us to get PE, music and art at some campuses we have to fundraise for it. To me, the district’s priorities are out of whack and are not concurrent with the priorities of the parents of the district. No one knew what was happening. There has to be transparency, responsibility and accountability to the parents of the district,” said Pingree. An expert in the state’s open meeting laws, known as the Brown Act, said the lack of detail on the agenda — listed as “review and approval of preliminary budget planning priorities” — probably violates the act. The district ran afoul of the Brown Act in 2014 when it hosted a management retreat in Palm Springs, which four board members attended, without notifying the public. Californians Aware served the district with a cease-and-desist letter, and the district later acknowledged that the meeting did violate state open meeting laws. The school board will finalize the approval in upcoming board meetings in June. District Superintendent Tim Baird said the tentative approval was necessary to keep staff, whose jobs were in limbo if the issue waited until June. “The Board tentatively approved the $800,000 because current staff would be impacted if the Board waited until the late June budget adoption,” Baird said in an email. 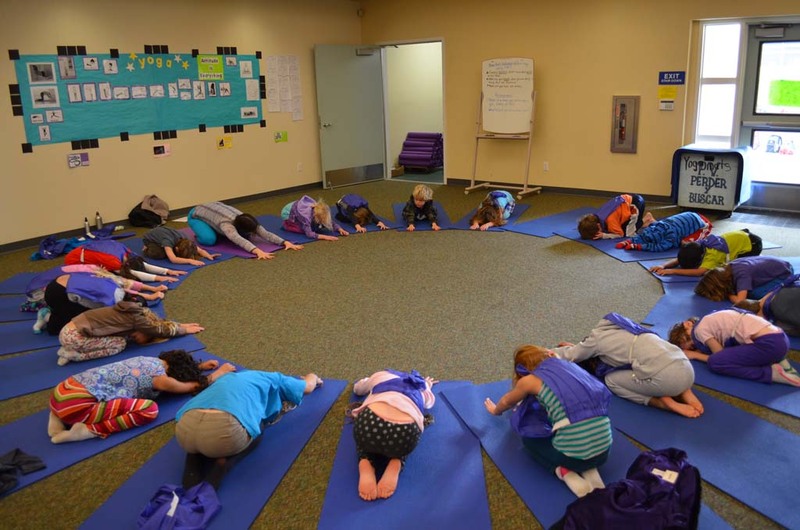 The district’s yoga program began in 2012, when the Sonima Foundation (back then known as the Jois Foundation) awarded the district a $533,000 grant that allowed the district to launch the program at five schools. Later that year, yoga was implemented at all nine of the district’s campuses. The Sonima Foundation upped their grant funding to the district to $1.4 million in 2013, which allowed the district to nearly double the number of yoga instructors and expand the program to two days a week. At the same time, a local family filed a lawsuit against the district, arguing that the program was promoting Hinduism in local schools. The district prevailed at both the Superior Court and Court of Appeal’s level, with judges concluding that the program did not promote any religion. Baird said the Sonima Foundation informed the district that it would no longer be providing grant funding, which was always a possibility given the funding structure.